Be part of the space commerce companies and ventures that are profitable, practical and inventive. Integrate with (by buying-in, forming joint ventures, seeding etc) the vital existing and new space infrastructure between the Earth, the Moon, and Near Earth Objects. Be a all-encompassing space ventures investing company that researches and identifies opportunities, and becomes part of those opportunities. 2019, April 3rd and 4th. 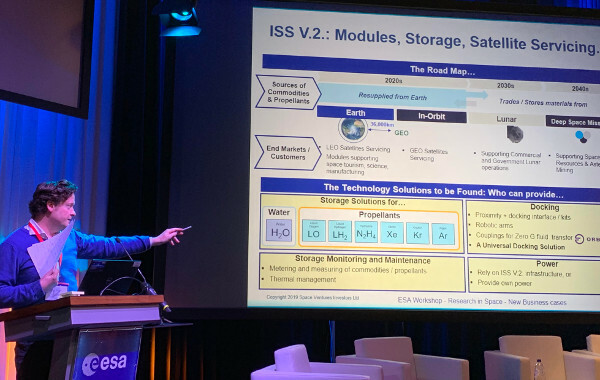 ESA Workshop "Research in Space - New Business cases" at the European Space Research and Technology Centre in Noordwijk, the Netherlands. Space Commodities Exchange was incorporated in the US. Joint venture co-founders include Space Ventures Investors, Orbit Fab and Orbital Transports. As part of our effort to educate new space investors, Space Ventures Investors is a contributor to various media outlets relating to the growing interest in space investing. ‣ The Strategic Value Chain is road map for investing in the space industry. ‣ Launch, Rockets, Spaceplans - Finding the right balance. ‣ Blue-chip and emerging Space Stocks. ‣ Manufacturing in Space: Facilitating LEO Commercialisation and In-Orbit Manufacturing. ‣ Satellites for vital communications, earth observation and global internet (Internet of Things, 5G). ‣ Space Tourism, an expensive trip with a declining price. ‣ Space Debris, a game-changer waiting to happen. 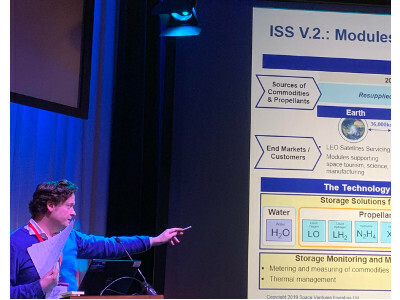 ‣ The long-term business models; how feasible are operations on the Lunar surface and all the steps involved. 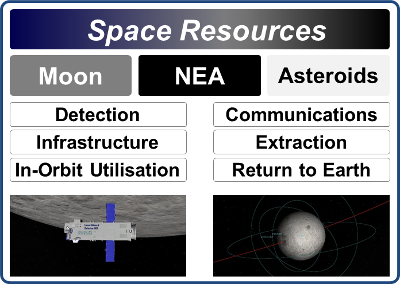 ‣ The reality of mining an asteroid and what needs to be done first. ‣ Who is developing the right technology for the right purpose, e.g. water extraction from the Moon's South Pole crater vs. from a Near Earth Asteroid. ‣ and the opportunity of when and how to enter this highly complex and lucrative emerging industry - timing is crucial. ‣ Individuals and Private Investors: How to invest in a broad range of space companies. ‣ Entrepreneurs, Angel Investors, High Net Worth, Family Trusts: Seed disruptive space commerce players, or be part of a syndicate. ‣ Corporate, Venture Capital, Private Equity: Be a strategic investor in emerging space companies that compliments your existing portfolio. ‣ Capital Raising; strategies, representation, business modelling, shareholder segmentation, crowdfunding. ‣ Business Development; approaches for B2C, B2B, NGO, GOV. ‣ Scaling-up; from tech to userbase. ‣ Mergers and Acquisitions; options and positioning. 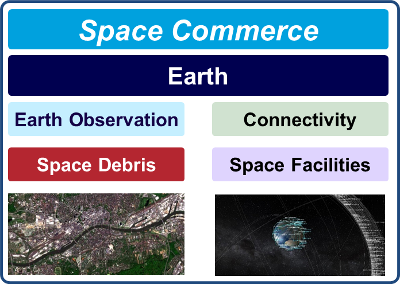 ‣ The Strategic Space Value Chain is our ongoing road map for space commerce. ‣ Try our Space Investing Survey. Your input helps us crate space investments that suit you. ‣ Read our Due Diligence for Investing in Space Resources. NewSpace, the Citizen Space Race, Space 2.0... we are here to provide space investors with a profitable way to invest in the growing and evolving space industry. ‣ Send a letter to our Postal Address. ‣ Investor Relations - Yes you you can invest. Astrophysicist or Intern looking for a space startup? Connect with us on LinkedIn or XING.